A New Type of Imprint is a magazine that curates unique creative culture and design. Founded in 2014, A New Type of Imprint is a magazine connecting the rest of the world with Nordic creative culture and design. 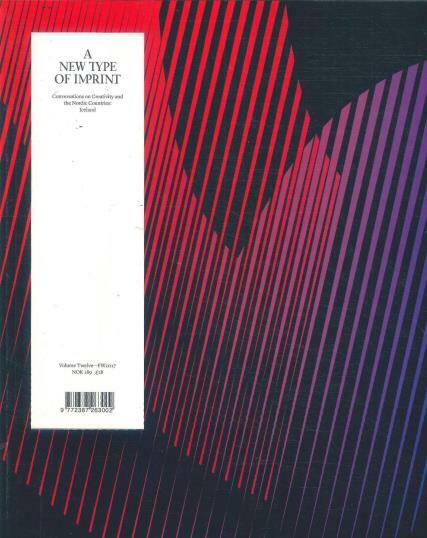 Buy a single copy or subscription to A New Type of Imprint magazine. A New Type of Imprint magazine does a fantastic job at shining a bright light on a gifted yet often over-looked artistic nation. The main ethos behind A New Type of Imprint is great stories with brilliant designs. A New Type of Imprint in an established Norwegian digital publication that offers innovative solutions to people worldwide. The publication has detailed profiles highlighting the may creative people living and working in Norway. Everything inside the magazine represents the Norwegian community.